When plaque bacteria is left on a tooth too long, it begins to decay tooth structure, creating a cavity. Decay weakens your teeth, leading to pain, tooth breakage, and eventually, tooth loss. Fortunately, Dr. Michael Bixby will catch your cavity early on and restore it with a tooth-colored filling at his Red Bank, NJ, office. After carefully removing decayed tissue, Dr. Bixby will place composite resin within your cavity to strengthen your tooth and prevent the return of decay. Tooth-colored composite fits tighter, lasts longer, and blends better with your natural tooth than metallic fillings of the past. When you maintain your regularly scheduled visits with Dr. Bixby, he will catch decay early and save you from tooth loss or more costly restorations in the future. Contact Dr. Bixby's office today to schedule your appointment. Dr. Bixby will determine if you have developed tooth decay, also known as caries, by examining your smile. In addition to looking for any visual signs of decay, Dr. Bixby will use X-ray imaging to more closely examine your smile. These images give Dr. Bixby a more comprehensive view of each of your teeth and can show him where decay may have begun to develop in hidden areas of your smile. Once he has determined that a dental filling will sufficiently restore your tooth, your treatment can begin. In some cases, when decay has destroyed too much tooth structure, you may require an inlay, onlay, or even a dental crown in lieu of a filling. To prepare your tooth, Dr. Bixby will use a drill to carefully ablate away your decayed tissue, layer by layey. Dr. Bixby uses a conservative approach during this part of treatment in an effort to preserve as much of your natural tooth structure as possible. 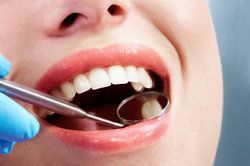 He will carefully clean the space that remains in your tooth, ensuring that all decay and plaque bacteria are destroyed. Next, he will place putty-like resin within your cavity, carefully molding it to fit within all of the nooks and crannies within the space. He hardens your filling using a specialized curing light, and your treatment is complete. Tooth-colored fillings are fully biocompatible with your body. They are metal-free and are completely safe for patients with metal allergies. Even if they do not have metal allergies, many of our patients prefer metal-free restorations. The composite resin that comprises tooth-colored fillings maintains its shape when exposed to heat and cold better than traditional amalgam fillings. Because of this, they can last much longer than traditional amalgam and have a lower incidence of bacteria developing beneath them. Tooth-colored fillings fit beautifully within your smile and blend easily with the color of your natural teeth. If you have a filling that is potentially visible when you smile, composite resin fillings are completely indistinguishable. It is important to maintain your regular preventive appointments with Dr. Bixby. By catching tooth decay early, Dr. Bixby can protect your smile and save you from costly restorations in the future.